This is a mini announcement for a new feature we added to Gather! By collaborating with one of our customers we learned that there is an additional indicator to a visitor's intent to exiting your site. This comes from simple statistical probability. If you know how long, typically, a visitor spends on your site, before they exit the site, that is valuable information. You can typically get this information from Google Analytics or similar analytics software. Let us say a typical visitor spends 5 minutes on your site (which you would typically get from knowing the median website session). Now if a visitor on your site approaches the 5 minute mark, statically they may be approaching the end of their visit on your site. Now if they are not in your cart pages, or if they have gone idol, you want to incentivize them with an offer or ask them to opt in to your list. So that you do not loose them and deliver value to them, and have a direct channel to their inbox, to deliver value to them until they become ready to make the decision to purchase from you. For that reason, we released the session based popup timer. Now you can define how many minutes before a visitor should browse your website, before they receive your promotional popup. This timer is unlike the existing page timer, which tracks how long a visitor should stay on a single page before receiving the popup. The session based timer tracks the time your visitor spends on your whole site. 3. Under Show Modes, select "Show Popup after a customer spends a period of time on your whole website? ", choose a time and save. Iz - Founder and Product Manager, Gather. How much do you value a loyal customers? Well for many ecommerce stores, loyal customers are a big deal. Loyal customers are significantly more likely to buy from you again in comparison to the likelihood of a new prospect buying from you. The loyalty of your customer is one of your business’ intangible assets and it is always a smart move to be able to quickly identify who they are and give them that loyal, or I should say that royal, treatment! In this article, I will show you why you would want to do so, and how. To reap the desired results, each of the above channels requires a lot time or monetary investment. 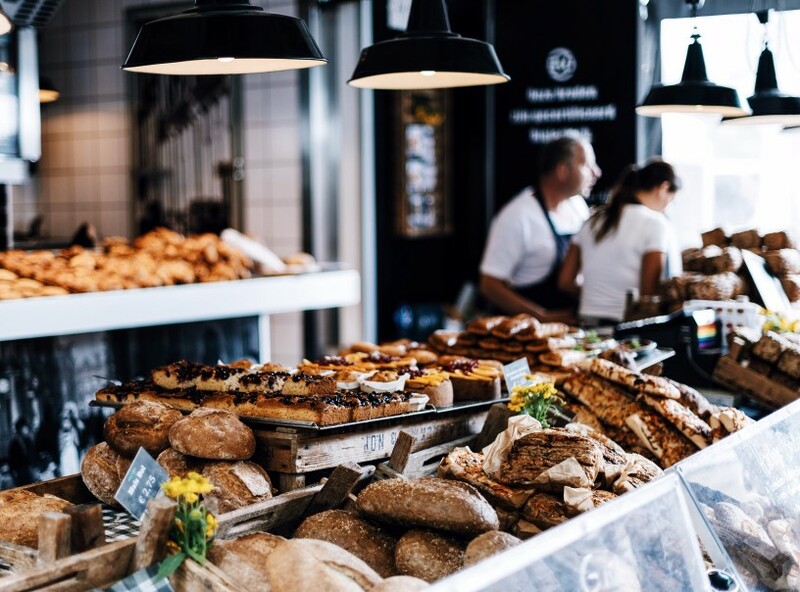 A smart store owner would calculate the cost incurred through the chosen channel(s) to acquire a new customer; often known as the Cost of Acquisition. If the balance between the cost of acquisition and the sale value of the purchases made by the customer is positive; this means the business model is heading in the right direction. Sometimes you can strike that balance really well. However, overtime some of these channels become more expensive causing slimmer margins. This makes the model a little risky. So what if I told you, that (in this age of connection), sometimes it is a smarter choice to focus less on ‘getting’ new customers and more on nurturing your existing customers; increasing the value of the customers you already have. This could well be a much more cost effective option, especially if you’re starting out. It all starts with knowing your customer. Really knowing them! And being able to identify who those loyal customers are. Before we can explore this, let’s first define what a loyal customer really is. You will have to work out which of the above customer attributes are the most important to you, but for the purpose of this article, I’ll show you how you can leverage technology to make the process, of identifying the customers who do fit under those criteria, a breeze. Using an app like Mailchimp or Dotmailer for Shopify, you can automatically know who your repeat customers are, through smart segmentation and integrations with, for example, you Shopify store. You can then send specific messaging to those customers, perhaps rewarding them with discount codes that are based on the products they are interested in. This a laser focused approach and has huge benefits over generic - one size fits all - messaging. In addition to using Mailchimp or Dotmailer, as a way to know who your repeat customers are, and specifically communicate with them, you can use another app to make it easy for your customers to subscribe to a product that they may need on recurring basis. This is more applicable if your store's products aren’t one time purchases; personal care products for example. For example, Both The Recurring Orders and Subscriptions app by Bold (for Shopify) and the Recurring Billing & Subscriptions by ReCharge (for Shopify) are sophisticated solutions that facilitate recurring orders, using multiple payment gateways. Using these apps, you can identify which and how many of your customers subscribe to your products, and how much in orders they have made so far. You’ll be able then to perhaps delight them with exclusive promotions, slowly turning them into fans of your brand. Following your brand could take the form for a customer subscribing to your newsletter, liking your Facebook page or following you on Instagram. Whilst Facebook and Instagram give you insights as to who is connecting with your brand on Social Media, a tool like Gather helps you increase the number of email subscribers you have, which is a direct channel to your customers. Customers who follow, and better still, interact with your newsletter would naturally be interested in what you have to offer. As this case study indicates, newsletter subscribers form one of the main channels for repeat purchases. Customer to customer referrals is an effective way to acquire new business, and in many cases, is cheaper than advertising. After many trials, the standard, proven, way to incentivise referrals is by rewarding both the referring customer and their referred friends. The reward could be granted for a certain desired action, like your customer’s friend making a purchase or joining your store’s email list. 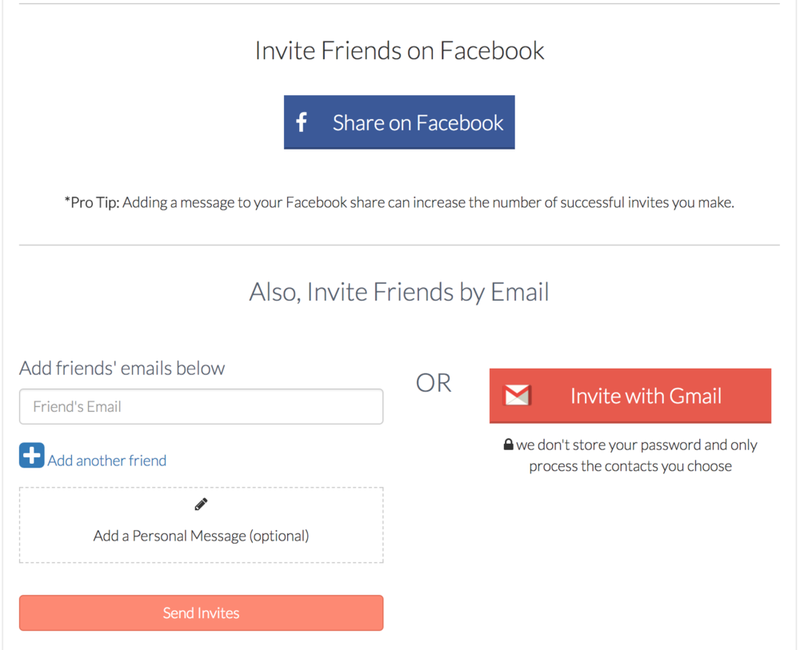 A tool like Gather automatically facilitates friend to friend referral campaigns, where the app rewards your customer, with a coupon, for referring their friend to your mailing list. Their friend also gets rewarded with a coupon upon joining. Combining insights from the above tools gives you the power to make smart decisions about rewarding your loyal customers. If your customer joined your newsletter, then made repeat purchases, then successfully referred her friends and connected with your brand on social media; she is a super loyal customer. You would want to make those customers feel special, as they could perhaps become an ambassador to your brand. So how do we combine the data from all the above tools? Generally speaking, you can connect apps together or aggregate data from multiple apps using connecting tools like Zapier & Gekoboard. They both integrate with Shopify. For example, a new email lead acquired by Gather can be synced to Shopify, which will in tern sync it to Mailchimp. Gather sends shopify tags to identify the source of the email leads, as well as the page from which they were acquired. This gives you a good indication as to what would products would interest your customer. You have learned here the importance of marketing through your existing customer base, by identifying and rewarding your loyal customers. We have also touched on multiple ways and the tools you can use to identify who those awesome customers are. Finally we suggested a few ways you can combine data on your loyal customers to help you identify the super loyal customers; those who have demonstrated loyalty in more than one way. How else do you manage to track customer loyalty and take action on it? How else can you marked through your existing customer base? To find out more about how Beautifulbecause.com.au, a successful ecommerce store, has used Gather to add 2300 customer emails and generated over $100,000 worth of orders. Get the case study here. Super excited to tell you about the new features we've been working on over the last few months, which are now available to you. Making sure that discount codes do not eat into your margins by restricting coupon popups for only when a customer has added more than, for example, 2 items in their cart. Only offer discount codes to customers who come from your Adwords campaign. Only acquire customer emails when they're on your blog. As you can see, these are smart and powerful ways to build your list as well as increase sales and profitability. This is a new product addition in your Gather toolkit. Not only you can use Gather's email overlays to capture emails, grow your list and increase sales; but you now can use Gather to acquire new leads who probably had never visited you site before. With email lead referrals, you can easily incentivise existing customers to refer their friends to join your list or newsletter. They can refer friends through email and social media. Referrals is an effective alternative to advertising. Companies like Uber and Dropbox encountered huge growth through referrals. Click here for a list referral features that come with Gather. Subtle Gather branding is now included in all Free accounts. This helps Gather maintain the ability to sustain and support Free accounts. Paid accounts have the choice to include or switch off Gather branding. This can done in the account area, where Gather branding is switched off by default. Tightening the security on spammers, and blocking certain IP addresses that are known to cause problems. Improving the speed and responsiveness of the account area. Enjoy using Gather and let me know if there is anything I can help with, by emailing hello@gathercustomers.com or using the customer service chat in your account area.